From the 30th of July to the 4th of August 2017 the Mémorial de la Shoah of Paris and the Vilna Gaon State Jewish Museum (VGSJM) of Vilnius, with the kind support of the University of Trieste that hosted the event, jointly organized a six-day seminar on The Nazi Occupation and the Extermination of the European Jews. Methods, sources and interpretations: a focus on Italy and Lithuania. 12 participants from several European countries (Croatia, Bosnia-Herzegovina, Italia, Austria, Germany, Denmark and Greece) as well as from Israel attended the workshop, held within the framework of EHRI. 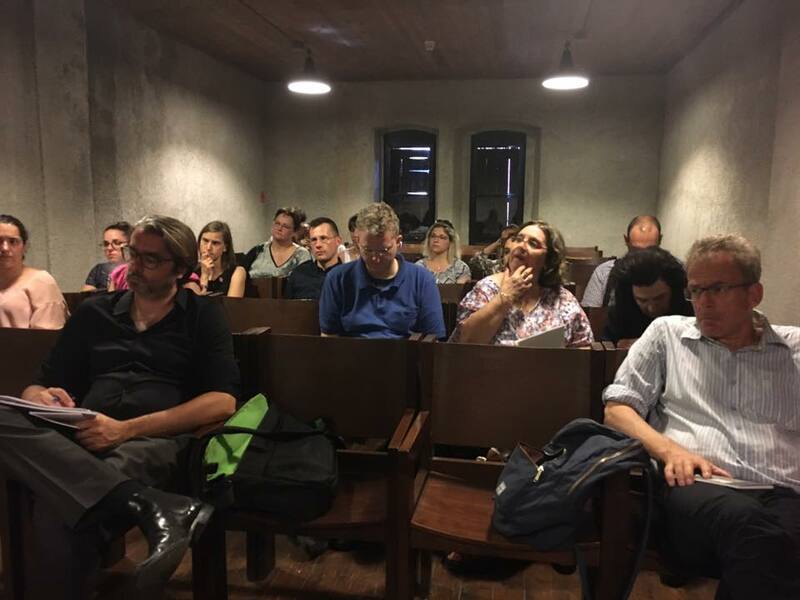 The main goal of the seminar was to bring together researchers, PhD students and archivists with different academic backgrounds and experiences to promote discussion on methodologies for the use and interpretation of documentary sources to retrace the history of the Nazi occupation and the extermination of the Jews. To achieve this goal, Italy, namely the Trieste area and Lithuania were used as case studies. The program started with a welcoming introduction by the organizers at the Jewish Museum “Carlo and Vera Wagner”. Professor Tullia Catalan (University of Trieste) gave a lecture about the Jewish community in Trieste, underlining especially the muticultural factor and the peculiar role of the city during the first half of the XIX century. Then the participants had the opportunity to discover the Museum and had stimulating discussions with Dott Annalisa Di Fant, the curator of the permanent exhibition. During an intensive week with a very rich program, the participants attended several lectures. In their majority, these lectures were based on a comparative approach to analyse the Nazi criminal policies, in particular concerning the Holocaust, in Lithuania between 1941 and 1944 and on the Adriatic coastland (Adriatisches Küstenland) that was annexed to Germany after September 8, 1943. The two countries experienced very different events during the Second World War – Lithuania because of the double occupation by the Soviets and the Nazis, the Trieste area for the overlapping of nationalism, anti-Slavism and anti-Semitism. Still, the lectures by Tullia Catalan from the University of Trieste, Christoph Dieckmann from the Fritz-Bauer Institut and Amedeo Osti Guerrazzi from the German Institute in Rome, highlighted some very interesting commonalities. For instance, the speed and brutality of the repression and deportation measures adopted by the Nazis in both regions affected not only the Jews but also other people or civilian groups, which were considered dangerous enemies of the internal order – i.e. the Slavs and the communist opposition fighters in the area of Trieste, the Soviets or their collaborators in Lithuania. Doubtlessly, there is a need to distinguish between the persecution measures which targeted Jews and aimed for their extermination (directly on-site in Lithuania or – in Italy’s case – in Auschwitz) and the punishment political opponents faced and which included forced labour, forced relocations, imprisonments in KL and collective executions. Still, the lectures conveyed some striking similarities during the occupation period both in Lithuania and Italy and the seminar managed to achieve its goal of placing the Holocaust in a broader context including the Italian’s and Lithuania’s history during Word War II. For discussing and examining all these aspects, Trieste proved to be the ideal venue. Once the German Reich annexed Northern Italy in the autumn of 1943, Trieste played a key-role in the deportations of Jews from the region the Germans renamed OZAK (Operationszone Adriatisches Küstenland). In Trieste, the Polizeihaftlager of the Risiera di San Sabba (a former rice mill) was located, which was the only Italian camp equipped with a crematorium. The camp was used simultaneously as confinement and transit camp for Jews to be deported to Auschwitz and as an extermination camp for the communist and Slovenian opposition fighters. A visit to the site and the accompanying museum left a deep impression on all participants. The lecture given by René Moehrle (University of Trier and The Martin Buber Society of Fellows) focused on NS ruling structures in the Adria Coastland and on the key role played by two SS members, Friedrich Rainer and Odilo Globocknik. During his talk he was able to present a selection of little known sources on this topic. A lively debate has arisen around all lectures, especially about the interaction between the Nazi and Fascist authorities to coordinate the deportation of the Italian Jews to Auschwitz as well as on the different repressive Nazi policies towards different groups in Lithuania and on the Italian north-eastern border. 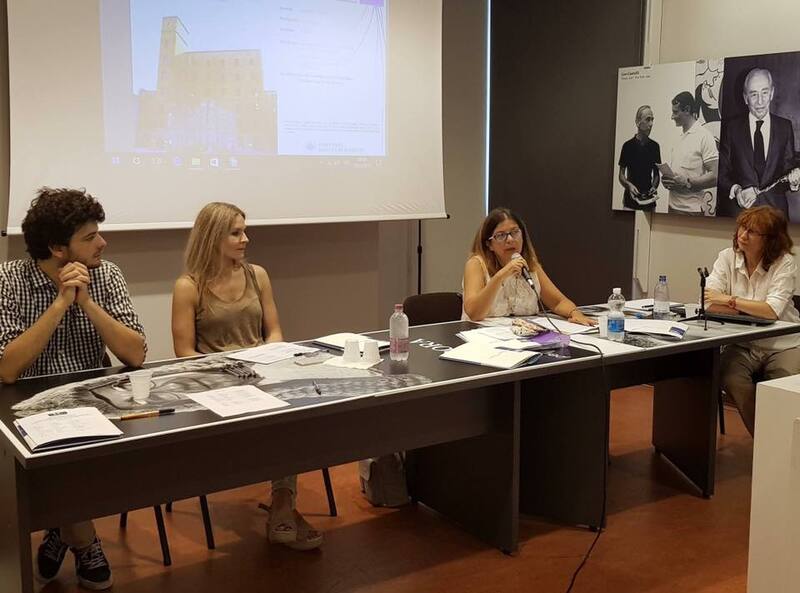 As all EHRI methodological seminars, the workshop in Trieste too emphasized the importance of the newest Holocaust sources. Dieter Pohl (University of Klagenfurt) presented an overview of the various kinds of sources currently available with a focus on the Aktion Reinhardt, which involved some perpetrators, like Franz Stangl, Odilo Globocknik and Christian Wirth who continued their career in Trieste. Afterwards, a lively discussion among the participants focused on suitable methodologies for the use and interpretation of documentary sources. 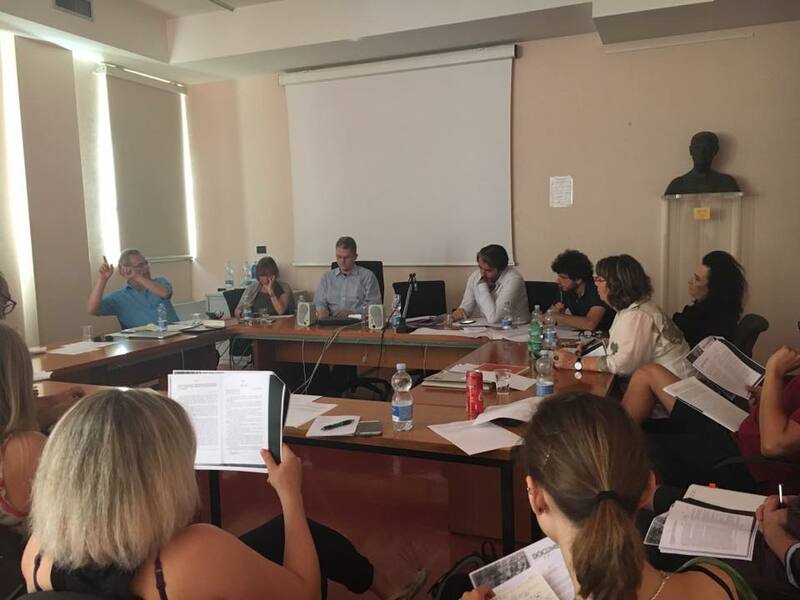 The academic exchange continued outside the premises of the University as well when two working sessions were held at the National Archives of Trieste and the Archives of the Institute for the History of the Liberation Movement in Friuli Venezia Giulia (IRSML). During these two visits, the participants were granted insight in still largely unknown document collections. For example, the archives hold a large set of documents gathered between the fifties and sixties by the founders of the IRSML on Nazi criminals working in the Adriatisches Küstenland and which were used to prepare several cases for trial both in Trieste and in Germany, as well as the Atlas of Nazi and Fascist Massacres in Italy. One of the participants, Leo Gürtler, a young researcher at the Institute for Contemporary History at the University of Vienna who is working on the biography of Franz Stangl found useful material for his research during the archival visit. The three lectures on the current status of archives and research were also extremely interesting: Giles Bennett from the Institute for Contemporary History in Munich presented the content and the use of the EHRI Portal as a useful tool for the participants research. Neringa Latvytė-Gustaitienė from the VGSJM illustrated the Atlas of the Holocaust in Lithuania, an important project started in 2010 by her Museum to collect, organize and present information about the mass murder of Jews in Lithuania in a single documentation. Cord Pagenstecher from the Freie Universität Berlin, presented the possibilities for researching forced labour in the Third Reich – a topic still only scarcely investigated by Holocaust researchers – offered by the Digital Interview Archive, a collection of audio and video testimonies of more than 600 former forced labourers from 26 countries. The seminar was also a great opportunity for participants, historians and lecturers to meet, exchange and discuss, since all trainees were given the opportunity to present their research projects and to receive useful advice and comments to improve their work. Not the least, the seminar was also a success thanks to the University of Trieste, which not only hosted the seminar and provided academic excellence during lectures and discussions but also welcomed and provided the participants with great hospitality.